Zambiance! 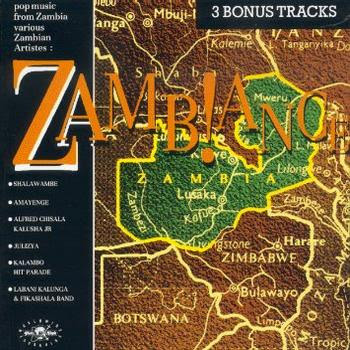 Pop Music from Zambia. Originally issued in 1989 by Ace Records on the Globestyle label. Compiled by Ben Mandelson. An incredible album! 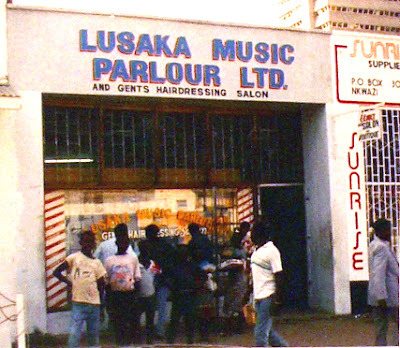 Music from Zambia is so rare. Thanks a lot. ah, this looks ace, but the download is already unavailable for me. It's still there Matthew - try again. This is a nice album, but while you were in Lusaka did you find anything by Nasil Pichen Kazembe? I have his lp Hot hits of and it is absolutely wonderful. oh damn... didn't even realize you were back! If you like guitar band music than I think you will like Nasil Pichen Kazembe. If you see anything by him buy it. Could you re-upload this albom, please? I very want to listen "Kalambo hit parade" songs as I remember them in ZNBC's programme "Folk night" in 1987 watched on Soviet TV. AWESOME! Does anyone of you know ANYTHING about Albert Chisala Kalusha Jr.??? I'd be happy to hear from you. Please email "cmx AT gmx.de" (omit blanks).